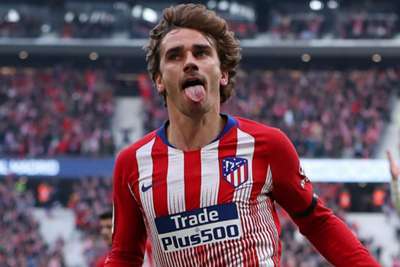 Antoine Griezmann declared himself "a little bit fed up" of transfer speculation amid fresh talk he could leave Atletico Madrid for Barcelona. The World Cup winner mulled over his future last year before signing a contract extension with Atleti, having revealed his desire to stay in a documentary-style video. Suggestions the France international could still end up at Barca persist, though, with Atletico 10 points adrift of Ernesto Valverde's side in the LaLiga title race. Griezmann scored in France's 4-0 win over Iceland in their Euro 2020 qualifier on Monday but he could still not avoid the topic of his club future. "I'm already used to it and a little bit fed up, every year it's the same, so I'm used to it," he told Univision when asked about the Barca speculation. Atletico face Barcelona next month but the chances of them winning the title now appear slim. Diego Simeone's side have already been knocked out of the Copa del Rey in the last 16 and suffered elimination at the same stage in the Champions League earlier this month. Atleti had beaten Juventus 2-0 in the first leg but then suffered a 3-0 loss in Turin, which dashed their hopes of reaching the final in their own stadium. "It was a bit hard [to take]," Griezmann admitted. "But I've always been confident. I know the team needs me and now we have to do a good end of the season." 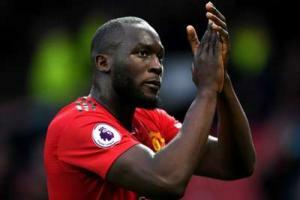 The chance to play in Italy is one Manchester United striker Romelu Lukaku would like to have "sooner or later".